Hello Everyone! I've had a couple of request for instructions on how I made the acrylic gift card holder in my previous post here. Sorry this took me so long but here it is at last. I hope this inspires you to make one for yourself or as a gift for someone. If you have any questions, please just let me know. 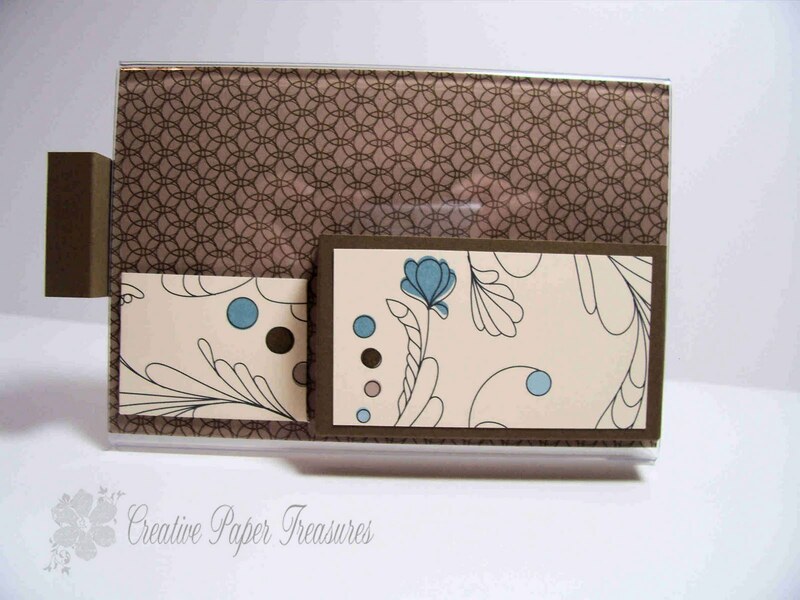 Score the 1 ½" x 8 ½ "strip of cardstock for the pen holder on the long side at ½", 1", 1 ½" and 2". Crease all score lines and apply adhesive along the end score line as shown in the picture. Fold score lines to form a holder for the pen. 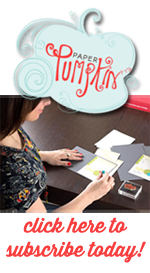 Attach the pen holder to the back of the 4" x 6" patterned paper or cardstock about 1" from the top and slip it into the frame. Apply the 3 ¼" x 1 ¾" patterned paper to the front of the pocket. Fold on all score lines and construct pocket as shown. Attach Pockets to the front of the acrylic frame about 1/8" from the right side and ¼" from the bottom of the frame as shown below leaving enough room for the stamp envelope. 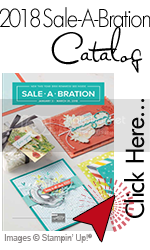 Score the 2" x 3" patterned paper at ½" on both short sides and one long side. Trim corners and fold scored pieces under. Apply Sticky Strip next to the score lines on all three sides. Fold sides in and bottom up and attach to frame next to the pocket. Put ribbon through top of frame and die in bow if desired. Tie ribbon to pen and insert in pen holder. Make four or six 3 x 3 gift cards and insert in pocket. Diane, thanks for the tutorial. You made it easy to follow and understand...now I need to get busy and make one.